Henry Holt and Co. (BYR), 9781250130532, 352pp. An attraction between foster siblings sets fire to forbidden love in this contemporary reimagining of Wuthering Heights. Emma’s life has always gone according to her very careful plans. But things take a turn toward the unexpected when she falls in love for the first time with the one person in the world who’s off-limits: her new foster brother, the gorgeous and tormented Dylan McAndrews. Meanwhile, Emma’s AP English class is reading Wuthering Heights, and she’s been assigned to echo Emily Bronte’s style in an epistolary format. With irrepressible feelings and no one to confide in, she’s got a lot to write about. Distraught by the escalating intensity of their mutual attraction, Emma and Dylan try to constrain their romance to the page—for fear of threatening Dylan’s chances at being adopted into a loving home. But the strength of first love is all-consuming, and they soon get enveloped in a passionate, secretive relationship with a very uncertain outcome. 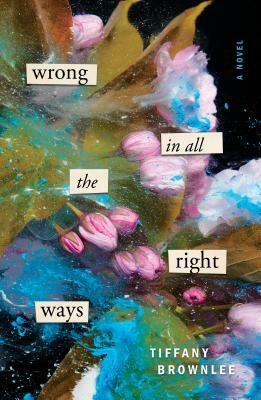 Tiffany Brownlee's Wrong in All the Right Ways marks the exciting debut of a fresh voice in contemporary teen fiction. Tiffany Brownlee is a middle school English teacher in the New Orleans area. Wrong in All the Right Ways, a young adult retelling of Emily Bronte's Wuthering Heights, is her first novel.